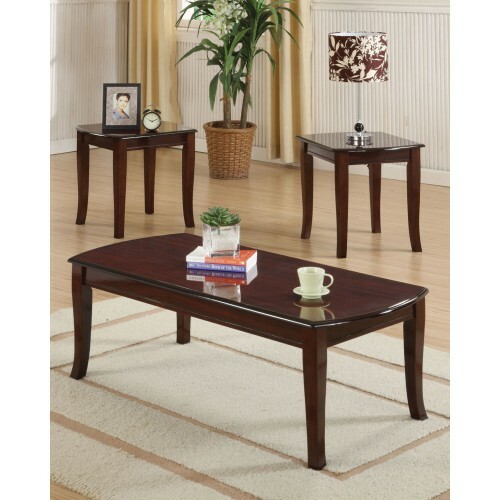 The Camarillo 3 piece occasional tables are a timeless classic. Finished in a cherry stain this group will fit into any setting. The softly curved cabrio legs and the gently rounded table top add a detail that enhances the groups appearance. Simple but not demanding this ensemble will fit nicely into any style of room.